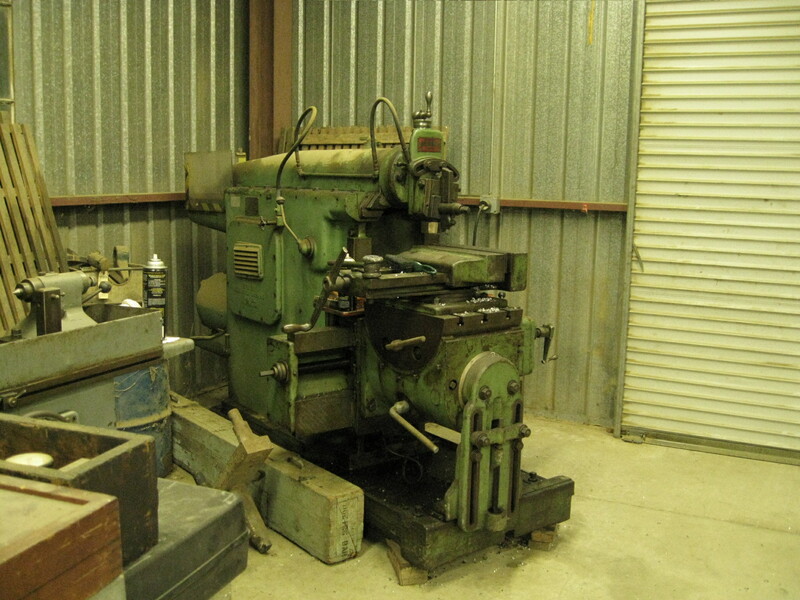 The Orange Empire Railroad Museum machine shop is fortunate to have a 24″ hydraulic shaper. It is used only infrequently and needs to be run periodically to allow the pressurized lubricating system to distribute oil. I decided a scrap 6″ x 8″ piece of hot roll mild steel spotted nearby would serve as a work- piece for some run time. To make the job interesting, I set the goal to machine the plate to within .001″ of being parallel. To meet the .001″ goal, it was necessary to adjust the knee support several times. The shaper type of machine tool has a long history of useful work, but these days the milling machine is the better choice for most jobs. Our shaper does not run often and needs periodic TLC.